NUnit is now integrated right in the Xamarin Studio. Visual F# PowerTools hit 11000 downloads! F# Charting docs were improved. A new user group in Chennai, India was announced. Steffen Forkmann is working on suggesting to fix a typo in a type name. Bryan Edds released v0.952 of the F# Game Engine, “Nu Game Engine“. 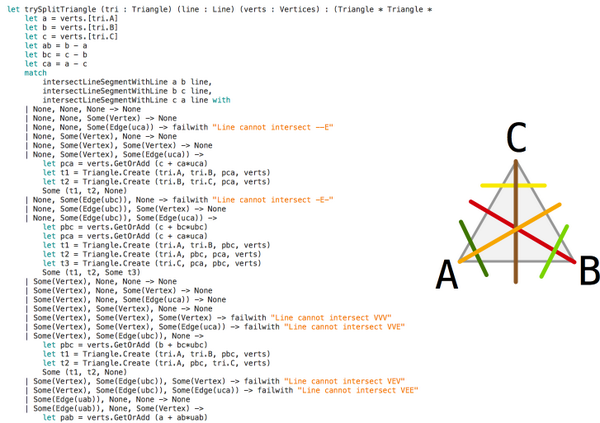 FsLexYacc is released with improved IDE integration. WcfStorm is written in F#(partially). F# Type Provider for Apache Hive. FunDomain is F# Event Sourcing reference implementation derived from FsUno. 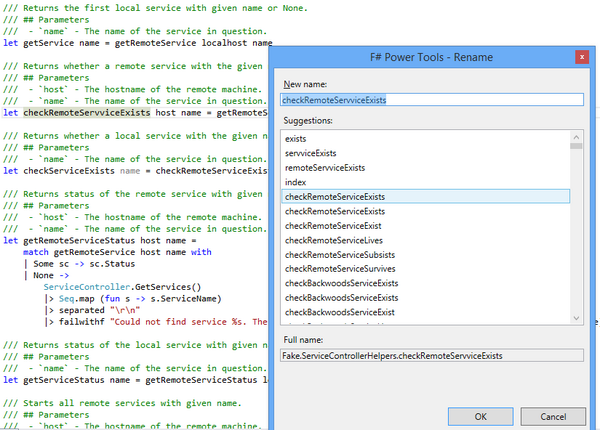 Access the World of WarCraft web API using F# type providers! Taliesin is OWIN routing middleware using F# Agents. Tomas Jansson shared a sample of calling ElasticSearch from F#. Open source F# + KDB+ connector (And KDB 32-bit is now a free download)! New examples were added to OpenTKExamples. Jack Pappas presented Facio example projects! F# 4 is long lead items needing bake time, no official date for F# 4.0, 3.1.3 is 3-4 months after Oob 3.1.2. More portable profiles are being enabled in the Visual F# tools! Working on Visual F#? Then please discuss an introduction of PowerShell. Jack Pappas has been working on F# 3.1.3, help by reviewing his PR “Type resolution bugfix for arrays“. Do you want some key binds for reset and clear all in F# FSI? Anh-Dung Phan has got you covered – review the PR here. Jack Pappas has been working on F# 4.0, please review and comment on his PR for “Additional NativePtr intrinsics“. Get started on the F# project system by fixing “Multiple folders in fsproj with same named resource will not load“. Improve F# debug ranges for loops with a fix for “Debug ranges wrong in for loop with non-int32 counters“. Work with Don Syme to propose a fix for “Reflected definitions mismatch the type of method“. Could you help us with this issue: “The F# build still has too many build warnings“? “Immutability, State and Scale – Functional, Distributed Applications in Azure” by John Azariah & Mahesh Krishnan. “F# for the Web” with Ryan Riley. Aggelos Biboudis posted “Clash of the Lambdas, updated“. InfoWorld published “14 excellent reasons to use F#“. Daniel Mohl posted “Improvements to the F# Web Templates“. Simon Fowler blogged “WebSharper.UI.Next: An Introduction“. Vesa Karvonen wrote “Equality Forall and forever“. Chet Husk posted “Parsing RAML with FParsec, Part 1: Background and Goals“. Jamie Dixon blogged “Neural Networks“. Ronnie Holm wrote about “Creating a simple build server in F# to execute FAKE scripts“. Dave wrote “Suave.IO vdir to run choose routes relative to a path“. Yan Cui blogged “Elm – functional reactive dreams + missile command“. Ronnie Holm posted “Trustpilot challenge: crack AES encrypted message“. 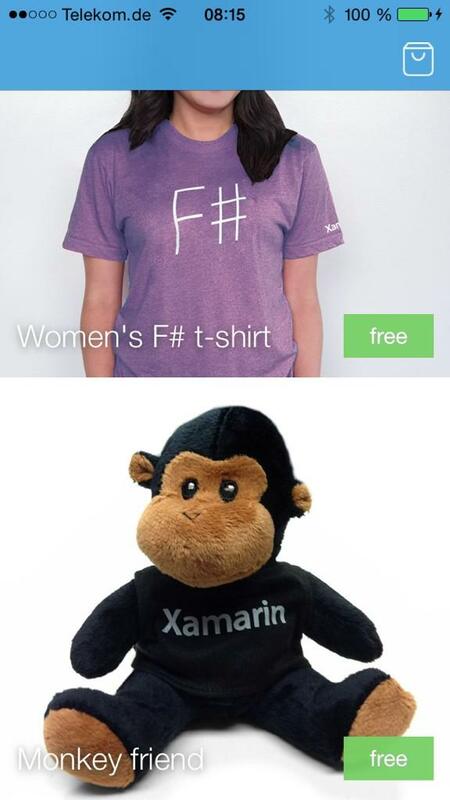 Frank Krueger wrote “My Xamarin Studio F# Wishlist“. Sergey Tihon blogged “Guess a project by logo“. Colin Bull posted “Type Providers, Record / Union Types and Constant Type unsupported“.